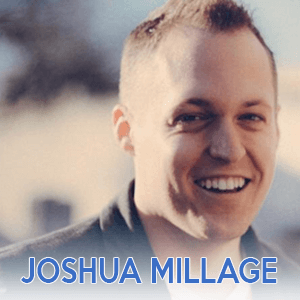 This week I talk with Joshua Millage from LifterLMS now that the plugin is free! Pressnomics is this week. If you are there, awesome. I’m jealous. Best place for people to find you / follow you. Adam: This is the Kitchen Sink WP Podcast, episode 105. Adam: Why, hello there. This is Adam Silver, the host of the Kitchen Sink WP Podcast. Thanks for being here. Let's get started. First and foremost, upcoming events. We have some word camps coming up next weekend. We have WordCamp Dayton in Ohio March 4th and 5th, and we have WordCamp Lancaster in Pennsylvania March 5th and 6th. I've got to tell you, I'm not going to be at Dayton this year. I'm really sorry. I know some people thought I might be. I'm not. I wish I was. It was my first ever trip to Ohio last year, two trips to Ohio, Columbus and Dayton, but it's a long day for me going east coast. I know it's weird to say I'm going east coast to Ohio, but to me it's eastern time zone, it's east coast, being from California. I had a great time. Met some awesome people, and really, really had a great time. I hung out with my buddy, Dustin Hartzler, who was a co-organizer this year, and I think was last year as well. He's also an Automattician. He has an awesome job. They're hiring. They're always hiring, so check out automatic. Anyway, if you see him, say “Hi” for me if you're there. If you're in the area, definitely go. Same thing with Lancaster, PA March 5th and 6th. Check those out if you are in the area. All right. Segment one, in the news, not a whole lot going on this week. I'm recording a little earlier than normal, so I don't have a whole lot of news coming out, but there is PressNomics going on right now this week. It's in Arizona. If you're there, that's awesome. I'm envious and jealous. Hopefully you'll learn some great stuff in the business aspects of WordPress, and you can share and let me know how that went. Check that out. Let me know. Okay? This week we have an interview with Joshua Millage from LifterLMS. Before that, though, I want to mention a special thanks to my sponsor for the episode. That's A2 Hosting, as you guys know, and for those of you guys in e-commerce, in that space, selling things online, just a quick reminder that a one-second delay in your page could result in a drop of seven percent in conversions. It's true. There's actually been some white papers and studies about this, and Google has as ton of information out there. In case you don't know, that means money is not being made and you're losing out on income, money in your pocket, if the website loads slower than it should. As you guys also know, I recently switched Kitchen Sink WP over to A2 Hosting, and though I currently don't sell anything online, I have plans on doing that, maybe a course coming up. We'll see. I just love the fact that I know that their speed and performance is bar none. Solid state drives, WordPress optimized to fly. Like I told you, it's shaved six seconds off my site already with the optimized plugin, so I know I'm in good hands, and so will you be as well. If you want to win a year of hosting, head over to kitchensinkwp.com/a2giveaway and you'll be entered into a raffle to win a year of free hosting. If you want to skip that process and just sign up today, which is awesome, also go over to kitchensinkwp.com/a2hosting and you'll save 50 or more percent with that link. Thanks to A2 Hosting. Segment two right now. I'm going to do an interview right now with Joshua Millage from LifterLMS. Take a listen to this, and then when I come back I will talk to you about the tip and tool of the week in segment three. All right, here you go. Today I'm talking to Joshua Millage who is the cofounder of codeBOX, a web development company, a podcaster, and one of the partners behind LifterLMS. He plays a little guitar. He surfs, and he's a bit of a coffee aficionado. A driving goal of his is to change education with WordPress. Joshua, welcome to the Kitchen Sink WP Podcast. Joshua: Thank you, Adam, for having me. It's great to be here. Adam: Of course. As I always like to share with my audience, it's how I know the person I'm interviewing. In this case I met you business partners, Chris Badgett and Thomas Levy last year at Cobbler Press, and then from there I followed you on the LMS Cast, and I love that show, as I told you before we hit record. It's where you speak about LMS systems, not just Lifter but overall education, and we'll get to that in a couple minutes. That's how we know each other, and I've seen you at Thomas' house via Skype, because Thomas is one of co-organizers for WordCamp LA this year. It was kind of funny. You were there by chance. That's how we know each other, right? Joshua: It was fun. Yeah, it was fun. I'm excited what you guys are putting together for WordCamp. Adam: We actually have an unofficial date. I can't share that right now, but in a couple weeks I'll announce all that stuff as well. All right, first question, if you could share, how did you get involved with WordPress? Joshua: Yeah, for me I was one of those guys in college who was always tinkering around the internet, and so I built a couple of those shady kind of affiliate sites. I think a lot of us got into the internet that way. I remember building on this … I forget the name of the actual software, but it was like desktop program that then FTP'd all the files. It was like early Dreamweaver, but it wasn't Dreamweaver sort of stuff. I just remember hating it. I found WordPress. I figured out how to do themes and things. I'm not a developer, but I can be a WordPress developer when I need to be, and really enjoyed the … This was early, early on. I don't know what version of WordPress. It was really early on. I could see where it was headed. I've always paid attention to WordPress, but when Tom and I, my business partner, met at a startup in LA, we left and we started freelancing, and then we realized that we could team up like a superhero duo, and if we freelanced together we could do bigger things, and codeBOX was born. We just dedicated ourselves to the WordPress community, figuring out how to maximize it, and I really think over the past three and a half years or so we've stretched it to its limits and built web apps on top of it and that sort of thing. I'm excited to hear that WordPress is now looking at being a web app management platform. That's exciting to me because that's how we started into this. As the e-learning boom is taking place right now, this revolution of online learning and the e-learning industry as a whole is doubling every year it seems like, in the billions, we wanted to participate, and we looked at the WordPress LMS space and we said that's something that we know we can have an impact in collectively, my knowledge of automation and my years in Infusionsoft and figuring out how to make systems work in unison combine with Tom's expertise of WordPress development, and then Chris, who really has probably the best understanding of the WordPress community, we just said, “Hey, we're going to double down on this idea,” and we've moved forward. Now Lifter 2.0 is out. It's been a fun journey. Adam: Interesting. As I told you before we hit record, the reason I brought you on the show is my audience may remember back in episode 102, which is kitchensinkwp.com/e102, I did a review on LifterLMS. I had a copy given to me from Tom. It was great. We're version 1.54, or maybe 1.45 … Either way, it's relatively current. I went over the overall setup and my impressions and I loved it. It was awesome, because I'd been asked to create courses online. I teach a course locally. I run the meetup, et cetera, but what I forgot to mention in the podcast itself was the price, which at the time was 150 dollars for the plugin. It seemed steep on one aspect, but for what it does, it really isn't. It's amazing. I actually talked to another friend of mine who had an advanced developer course, and he used a few different systems. He had to do some stuff manually. This was only two and a half, three years ago, because it was so parsed out. Anyway, what was the price for the multiple sites? Joshua: Well, it's a great question. I'm all about transparency. We don't hide behind our company or anything like that, so I can tell you about the fallout and what's happened and get into the juicy details. We can go wherever you want to go. Adam: That was my second question, yes. It was the fallout. Start with one and then we'll go to two. Joshua: The big why is that the e-learning market is pretty large. The WordPress learning management system piece of that market, not too large. We walked into a market that is relatively … It is highly competitive. There's a lot of player for the size or what we guess the size of the market to be. You've got to kind of ask yourself, “What are you really trying to do here?” If you're trying to make a ton of money, the WordPress LMS space software wise, not really the best place to do that, but we didn't start there. A lot of the guys, a lot of the competition did start there. We started building custom learning management systems before moved down channel to what we're doing now. After testing the premium model, we realized that there's more opportunity to grow our backend of our business if we give away our best core product for free, really model the commerce type premium. Give this core thing away for free, that's awesome, but then sell extensions, add-ons. For us, white glove services because we started as a service company before we moved to a product company. That's a big driver for us. The other thing was the vision of the company. That comes to play, too. For us, when we started out down the WordPress LMS route, all three of the partners and I and our team, we said, “We want to actually make a different here. We don't want to be another player in the space.” What's radical about WordPress is the fact that it's so easily distributed to places around the globe where people don't have a lot of access to the world, let alone the ability to build anything out there, but they can do things with WordPress, and we see it all the time. We see people buying is the fact that it's so easily distributed to places around the globe where people don't have a lot of access to the world, let alone the ability to build anything out there, but they can do things with WordPress, and we see it all the time. We see people buying is the fact that it's so easily distributed to places around the globe where people don't have a lot of access to the world, let alone the ability to build anything out there, but they can do things with WordPress, and we see it all the time. We see people buying our plugin and then building courses in remote places on the planet and actually having their lives change because now they can access a bigger audience. Crazy things can happen, and I think the vision of WordPress was to democratize publishing, I think, is how it originally started. We look at what we're doing as a play to democratize education. A good example of our vision being acted out in our plugin is the reason that we added voucher functionality. A lot of people would say, “You're an idiot for including that in the core. Why would you do that? That's a great example of a premium add-on.” They're not wrong. Adam: Explain voucher functionality, then. Joshua: Voucher functionality is essentially a piece of functionality we have built into LifterLMS that allows you to give access to a course with a one-time-use redemption code. You can generate a number of codes. You can print them off, put them on labels, however you want to do it. You could take cash. You give me 20 bucks, I give you a code. Now you can go redeem it online. Previously you could do that with a coupon code, but the only problem is you'd still have to enter in some sort of payment details. There wasn't a way to really bypass that. This voucher functionality allows you to bypass that. Great use cases for people who are here in the states. If you're an author, you want to have a companion course in your book, boom! Redemption code. If you sell from stage, if you're a speaker and you want to take cash in the back but give access to your course, now you can. That is semi important in why we included it, but the bigger idea is we get feature requests all the time from Africa to India to remote places in South America. People saying, “Can you include voucher functionality?” Because no one has credit cards. No one has PayPal. Stripe doesn't matter. We can't sell, but we sell in person. I got to actually experience this in my MBA. I got to travel a lot and observe business all over the globe. When I was in South Africa I was working with Alcatel-Lucent, which is a big telecom over there, and they were actually plating pods all over African with solar panels that people could got and insert cash to reload their mobile phones because no one had credit card. The prepay thing is huge because it's cash to whatever device. Joshua: That falls over into what we're doing with Lifter, so we included it in the core because e-commerce is a part of our functionality and we're leaving out these people who want to sell in person by not including that. That's playing to this vision that we have of really making this an ubiquitous disruptive technology. I'm not going to tell you a story about how we're there right now, because we're not. Part of this, too, of making it free is because we want more people to use it, and the more people that use it, the better insights we have on what we could develop on top of it that can be revolutionary. We're bootstrapped. We don't have money to throw all over the place. We have to take these incremental steps. Our community understands that and they support us and they keep us going. As a whole, getting to your question about the fallout and how you go from premium to free, but as a whole the community has totally embraced this move. Joshua: You always have these guys who are crazy. I'm not going to lie and say we've a hundred percent positive feedback, because we haven't, but the amount of the people who have been disappointed it very, very few. Handfuls of people. I don't have an exact number, but it's not that many. A lot of people, people who had bought in the last 30 days, we gave them a way out. They could get a refund. Some people have taken that. People who were outside of that window could let us know and we could consider it on a case by case basis, just because we've sold Lifter in so many various selling scenarios, we kind of have to take those case by case, but for the most part those people have upgraded into our pro-level of service, and we have some bonuses and things that come along with badge packs and certificates. Yeah, I think the key is taking care of your people, and the offer that we gave the customers who were coming through and staying with us was a guaranteed 50 percent coupon that they could use on anything, so they could actually, if they wanted to go for one of our more expensive extensions, they could've basically equaled out, made their money back in certain areas. It's kind of crazy. In addition to that, we have a course platform that we're going to be launching later this year called “Course Clinic,” which is essentially answering the question that you briefly touched on, I think, in our pre-chat which was the system is one piece of the equation. The other part is actually creating the course. We're going to start publishing some courses around how to do that, and so those individuals get access to that content. We're really giving a lot of value away if they stick with us. You're not going to please everyone, but for the most part people have e-mailed us, say, “Upgrade me,” which is saying that we're doing the right thing with our offer and how we're taking care of people. Adam: What was lost? If I had paid the 150 and I got the refund, what's gained, what's lost now that it's free? That's always the question, because I read some things on … I'm on the VIP Facebook group because I know you guys and I read the thread part of it, and some people felt like it devalued the plugin. Adam: The question is if it's now free, was anything taken away now that it's free? Joshua: Got it. Got it. Nothing has been taken away. We actually added functionality with the voucher functionality that just went through. It was added in 2.0. Adam: What about the support or service aspect of it? Joshua: The support is what's missing now. What the gained was they no longer pay us for updates, so we will support it on future versions of WordPress. Whatever happens in the internet world, we've got it covered. You can still get support through the WordPress the classic forms where you can post problems, questions, et cetera there. We're going to do a good job managing that, but there's only so much support you can provide there. The individuals who want personal one on one support with our support team can pay for the LifterLMS Pro, which gives them that support. Adam: It's kind of like Apple's model where they have the one to one or the Pro extra for the year for a hundred bucks. Joshua: That's exactly it. No one likes to buy just support. That's a pretty hard sell, so we're constantly adding other things to that that people are really excited about. One of the things that we're going to release here in the next week is a number of styled certificate backgrounds and badge packs so that people don't have to go and get those designed. They can use ours, as well as Chris has got kind of a mastermind sort of … I don't know if he's doing it weekly or biweekly, but Zoom call that people who are Pro members can get on. We're constantly thinking of ways we can add things to that. I think in time it will probably include some sort of advanced functionality, but we've yet to really plan that out. We're so, I guess, fresh in this business model of adding extensions that we're really trying to figure out what's the best way to do that and what's that Pro offering going to look like in the future. It's very young right now, but it's going to balloon out and have a lot more things included in it. Adam: That lead me to a question which I didn't even write down. I just thought about it based on a mutual friend of ours that we know, Syed. He used to have OptinMonster as a plugin, and the he went to Sass. Could a future version of Lifter go Sass to where it's paid for again or where it's hosted kind of thing so it's off of the self hosted sites? Joshua: That's right. Yeah. Those are things that are in the future for us. Those are definitely tests. I think, for us, we look at that from a number of different angles, but that's definitely something we're considering, moving to some sort of a hosted model, although that space is equally as competitive as what we're experiencing with WordPress, Ruzuku and Teachable and Kajabi and all these different players who are there. It's on the horizon, but again, I think the key thing that we're looking at right now is everyone from essentially a feature standpoint, everyone's doing the same thing. The thing that we're doing differently is it's one plugin that does a number of things that a lot of people need if they're going to run a course online. Other plugins you've got to add and subtract. Now, if you go to the Sass space, it's almost comparing apples to apples to apples to apples. Which name do you like the best? In all honesty, and no dis to a lot of those guys, I know them, but they're competing pretty much neck and neck. That's a blood space, too. Then you go to Blackboard or that level, the enterprise level, and it's like it gets even weirder because some of that technology just doesn't ever update. It's like going back to [inaudible 19:21] It's an interesting market. It's massive, but it's not … No one's really doing anything, in my mind, that's truly helping students learn or teachers teach better. That's the question we're trying to answer. Adam: That leads me to my next, almost my last question. Where do you see the future of and growth of online courses from both the perspective of taking and delivering, creating? Joshua: Yeah. That's a big one, Adam. Adam: It's a softball. It's easy. Joshua: It's interesting because I see some really weird stuff, and what I mean by weird stuff is artificial intelligence/augmented reality classrooms, 3D immersion stuff that's coming around the bend that will be here shortly. The data right now is stacked against us in terms of online education being better than in person. There's a lot of arguments there. I think what's going to actually happen first … If you ask me five years out, it's kind of difficult for me to even see that far, and everything's moving so quickly, but what I see in the next few years is people looking at these online tools as a supplement to what we're doing, talking either on a web chat or on person and really working the blended learning angle. That's what excites me the most, and I think the best courses have some human component in addition to the information. My friend, Danny Iny over at … It's Mirasee now, but it was Firepole Marketing, he has as great platform for people who want to learn online, which is called “The Course Builder's Laboratory.” It will probably launch against some time later this year, but great program. One of the coolest aspects of it is you get a coach. Danny's really driving this home well with his course giving the meat of the information, but having access to someone who can answer questions to help someone as they progress in their journey as a learner, the learning journey. What I think is going to happen is people are going adopt that more. We're going to see more of the gurus taking that model, too, because it's how you actually change someone's life. I think for so long it's like, “What's my sales conversion? What's my refund rate? Okay, onto the next course.” That era is dead and there's remnants of it in certain markets, but it's going to be gone soon. The next one is cool because I think the winners are the guys who actually care. Adam: Yeah. It's true. I think a blended education is key. I teach the WordPress 101 course locally [inaudible 21:58] adult school, and I get asked all the time why don't I do this online. Now I obviously could. I could record myself, and I'm going to do some smaller little bits and pieces on the WordPress stuff, but I believe that the money that is spent for the adults to take the class that I … I get paid through the district. I'm not paid well. I can make a lot more doing it online, for sure, but that said, the reason I don't do it online is I think there's a lot to be gained in in-person interaction and accountability. Adam: Because getting that online, they may hire me to do something else. Joshua: Right. Right. Well, thanks for giving Lifter a shout out. Appreciate that. The one thing I'll say, I take my own medicine. We launched a coaching program/pilot course called “Course Clinic,” about a month or so back, and the people that I'm working with are phenomenal. All of them are phenomenal. I'm having so much fun. It's so rewarding as a teacher to actually interact, test my content live and get reactions on it, and that's going to inform and help me build a better course down the line when we create the “Course Clinic” course. There's definitely going to be that live component. I think the thing that's interesting, a lot of people are so focused on scale that they forget the personal touch and how important that relationship is. When you do coaching and things in person or over video chat, it's really rewarding because you get to see, visually sometime, the light bulb going off. You can't get that as a teacher teaching an online course, but if you can kind of mark that point of “What did I do? What did I say? How did my content help that light bulb?” then you can scale, but if you put scale in first, you miss those opportunities. I think it's really important to focus on teaching well. One of the things I coach the students in Course Clinic was have a separate notebook for the aha moments that you see and what you did so that you to the best of your abilities reproduce those in an online setting. A lot of people aren't taking that data down and watching for that, and you're in a great position, so you could eventually create a course and you've worked with so many people. You're like, “I know when I do these few things and it clicks, okay, now in an online ecosystem, online world, how do I make that happen? What's the cadence? What's the energy progression?” All these different variables. It's exciting. There's a lot of great teachers who are not tech savvy who are now getting online and using Lifter, and I think we're learning a lot more about education from them then we did from the wave of people who are more brought on by the internet marketing craze that was the last ten years or so. Adam: It's still there. I've heard you guys say in the LMS Cast, you and Chris were talking that you think it's old fashioned … It is [inaudible 25:32], I think, is the best way to say it. Not that it needs to completely die. I think there's a need for it, but I think it's changing, and I agree with you. It's definitely changing. I think we're going more into value and better education and better opportunities to learn and to teach. Adam: I have one more question, but it's three parts. It's easy. It's easy-ish. I didn't give you any prep on this one. From the business perspective, and not that you're a full-on developer, what are three pieces of software that you use on a daily basis? Your go-to pieces? Joshua: Can I be different? I probably will see the same three that everyone else use. Well, I love Slack. I think so many people do. I absolutely love Slack. I use it all the time. I'm an active campaign user. This will be the first time I say this in public, so you can break this news, but I love active campaign probably ten times more than I love Infusionsoft. Joshua: That's big having the largest Infusionsoft podcast that I'm reworking. Adam: Apparently that podcast is changing. Joshua: That podcast is changing, and in all fairness there are things I do like about Infusionsoft. I'm a user experienced junkie, and it's just like stepping from 1997 to 2016 when you make that switch, from a user experience standpoint. There's other technical things I like about Infusionsoft, but that's another episode. I love active campaign. I spend a lot of time here. Joshua: One more. My third, I love ManageFlitter. I use that quite a bit for managing our Twitter feeds, our social feeds. It's really a great tool for curating your people that you follow and people who are following you. It's the tool I use to do a lot of the Twitter growth hacky sort of things that I do. I use that quite a bit. Adam: That is one that no one has ever mentioned before, or active campaign. People have mentioned Slack. No one said Active Campaign or ManageFlitter, so perfect. Joshua: Yeah. Check them out. They're great tools. Adam: Well, I do want to be respectful of your time. Last thing, where is the best place for people to follow you or being contacted if they're looking for codeBOX work or anything else in the Lifter arena? Joshua: Yeah, if they want to reach out to me directly, you can always reach me at joshua@lifterlms.com. Another great place is just on Twitter @jmillage. Those are probably two of the best ways to get in touch with me, and I would love for everyone to go check out LifterLMS, too. LifterLMS.com. You can download the plugin for free, build an online course, sell an online course, do all of it. Another thing, too, is a lot of the questions that I'm sure your audience has around building a course, we're really trying to do a great job of tacking on our blog. We've got some incredible posts out. We just came out with one today which is how to map your online course. Adam: It's amazing. It's so big. I'm like, “Wow. This just keep going.” Yeah, it was pretty cool. Joshua: It is kind of like a course in and of itself, but one of our writers, Frey and I really thought long and hard about this because we get the question all the time and we've got the system. Now we need to help people who are experts catalog and organize that information. We're doing a lot of that on the blog. We're testing content there to see what we're going to create next. It's all connected, but yeah, I would encourage people to go check that out, too. Adam: Awesome. Again, thank you for your time. It was great talking to you and getting to know more about the change. I'm hoping for the best for the entire team. Joshua: Thank you so much, Adam, and thank you for what you do here. It's great to have another awesome, honest podcast in the WordPress space, so thank you. Adam: Thanks. We're back. Thanks again to Josh for taking the time with me. I really did appreciate his time. Some great information, and I hope that clears things up as well. I'm excited. I still love Lifter. I'm still planning on using it. I think there's a great opportunity for lots and lots of different areas in the niches, niches, niches, niches. I'll go with niche. Niche? Niche? Niches. I'm going to go with the French. Anyway, check it out. LifterLMS.com and see what you can do and come up with some course work. All right. This week, segment three, tip and tool of the week, moving along here. I'm going to talk to you about WP-UserOnline. It's a basic plugin, 30 thousand active, which is pretty cool. Last updated a couple months ago. Active to 4.2.2. What it lets me do, I just used this on a client's site for one of my clients. They were having some issues, and I wanted to see had they really logged in properly. I installed this plugin. It lets me see who's logged in. Ideally only admins or people with permission are logged in. It's pretty basic. It lets me just do what I need to do. Let's me see what user is online and what they're doing. Check that out. It's at WP-UserOnline and I will put a link to that in the show notes. That's it for this week. Thanks for listening. Also, once last thing. March 2nd, this Wednesday, marks my second year anniversary of this podcast. I just want to really thank all of your for listening. I don't know all of you. I know a handful of you. You e-mail, you write in, and I know, I see the stats, but I don't really care about the stats. I just love doing this. I love sharing and learning what I can. Learn what I can and share what I can. Again, thanks for listening. Thanks for helping me keep the show going. If you have any questions, go ahead, send them in via e-mail, Adam@kitchensinkwp.com or use the speak functionality on the website and we'll see you next week. Go out and do some awesome things with WordPress. All right. Talk to you later. Bye-bye. Click here to enter a chance to win a year of free hosting!